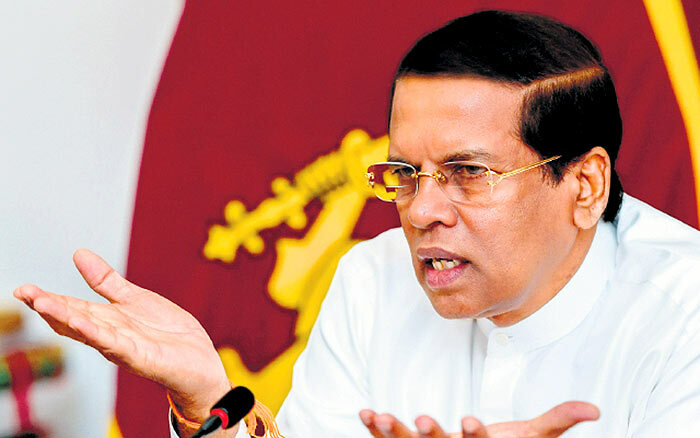 President Maithripala Sirisena has asked that all former MPs, State Ministers and Deputy Ministers return their vehicles and public property to the relevant Ministry Secretary to avoid having legal action taken against them under the Election law. He reiterated that strict action would be taken against any member of the government who misuses public property for election purposes. In his address to the nation on Sunday night, the President stated that he would extend all the support necessary to the Elections Commission to ensure that there is a free and fair election. He noted that at present, in accordance with the 19th Amendment to the Constitution, a caretaker government is in operation from the time nominations are called for to the time where a new Parliament convenes. Thus, only the President, Prime Minister and Cabinet members would function in this caretaker government. “All former state ministers, deputy ministers and MPs who no longer hold office are prohibited from using public property under election law. Thus I request that all former state, deputy and ministers hand over your vehicles to the relevant Ministry Secretary. If there is a delay, I would be forced to take legal action and bring in the Police to recover such property, and regardless of party, strict legal action will be taken against anyone who violates the election law. I would like to remind you that it is illegal to use government property for election purposes,” stated the President. Will the Politician’s relatives who are usually employed in Ministerial and Local MP Offices lose their jobs too?